Leanne Mennemeier is a mother of 9 children who has successfully completed 2 full rounds of HCG dieting. 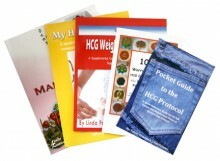 During her rounds of the HCG diet, she lost over 45 lbs. Even more importantly, she is maintaining her HCG weight loss even after 3 years. Plus, for the first time in her life, she now wears a size 8. Leanne is one of the partners in Pounds and Inches Away, an HCG diet consulting firm with headquarters in St. Louis. She is also the co-author of 101 Worry Free HCG Diet Recipes Book, and the Over 201 Worry Free HCG Maintenance Recipes Book.